Most classic motorcycles simply look ‘old’. (Not that there’s anything wrong with that.) But a tiny handful still have the power to stop the traffic, decades after they were built. Brough Superior is one such brand; Crocker is another. 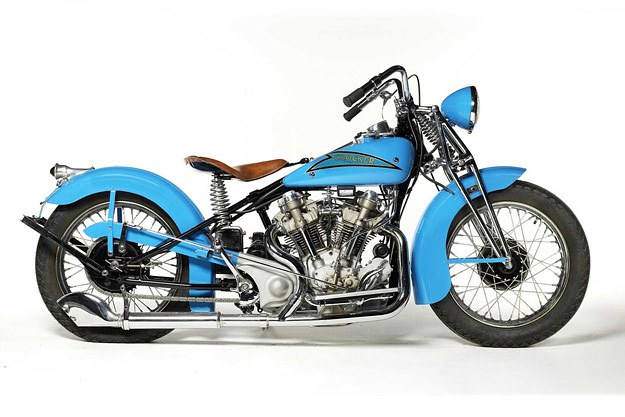 This is a 1937 ‘Big Tank’ Crocker motorcycle, and it’s going under the hammer at Bonhams’ Quail Lodge sale on 16 August. The estimate is a staggering US$270,000—340,000. Rarity plays a big part in that perceived value. 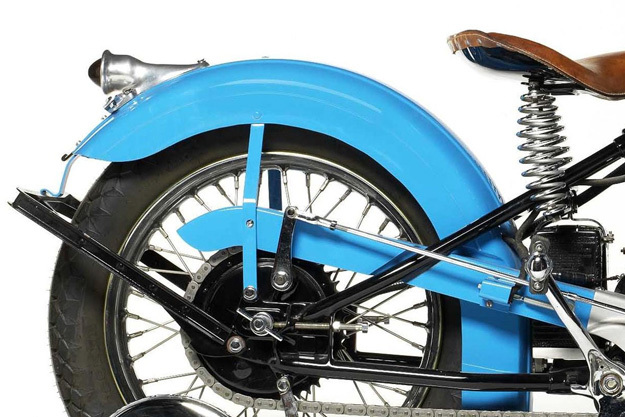 Only sixty-or-so twin-cylinder Crocker motorcycles were ever made. 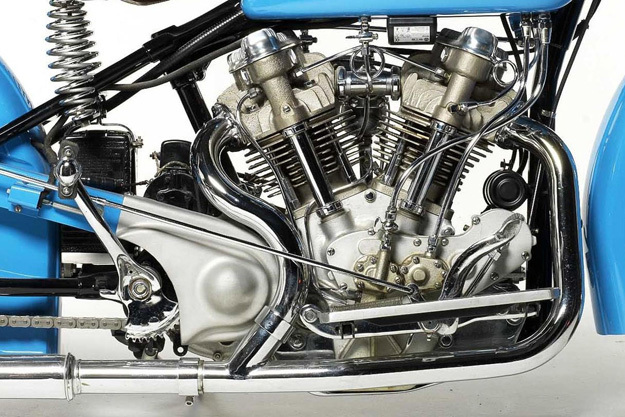 And this design, powered by a one-liter (61 ci) V-twin, was the first American-built motorcycle to feature overhead valves—a few months ahead of the Harley-Davidson knuckle motor. Unlike George Brough, Al Crocker brought in few outside parts for his motorcycles: almost everything was made in-house, even the carburetors. 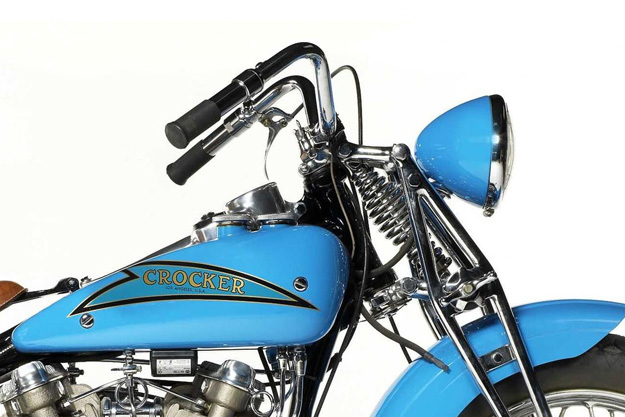 But unlike Brough, Crocker faced serious competition—from Harley and Indian—and this hastened the brand’s demise. Today, Crocker motorcycles are reportedly heading back to limited production. And as you probably know, Brough Superior is back in production too. Which brand do you think will endure the longest, second time round?